His magisterial highness the beloved democratic leader KIM JONG-UN today happily ruled over the smiling people's kingdom of the DEMOCRATIC PEOPLE'S REPUBLIC OF KOREA, where great tributes and praise for the beloved memory of the late heroic kindly leader of the people in perpetuity KIM JONG-IL, father of beloved current leader of the happily satisfied people and animals alike KIM JONG-UN, are routinely the order of the day. In what way was the memory of the highest imperial democratic inspiration KIM JONG-IL praised today, by the industrious citizens of the world, according to the DPRK's official news agency? The pavilion is witnessing more than 10 000 visitors each day. They have unanimously expressed great admiration at the red-colored Kimjongilia in full bloom. 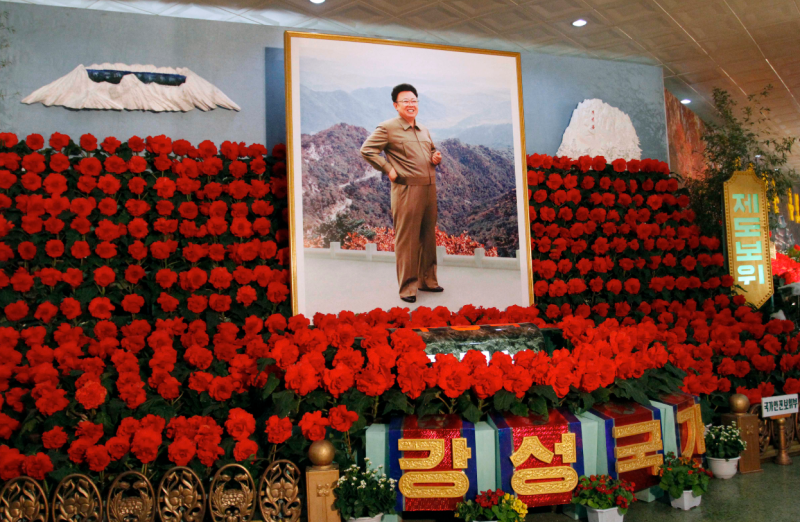 The jury of the expo praised Kimjongilia as the king of flowers, the most famous flower in the world.